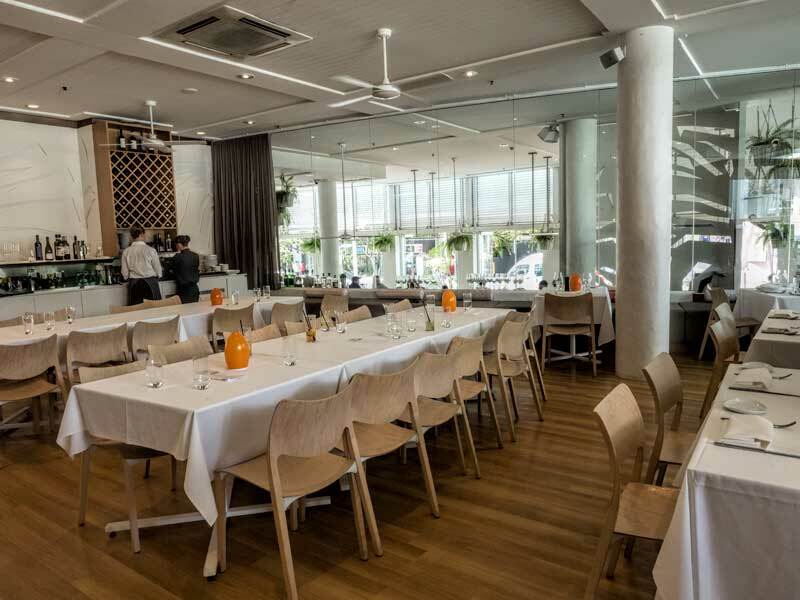 It’s been over a year since we last visited Noosa’s Hastings Street and slightly longer since we were last at Noosa Beach House. 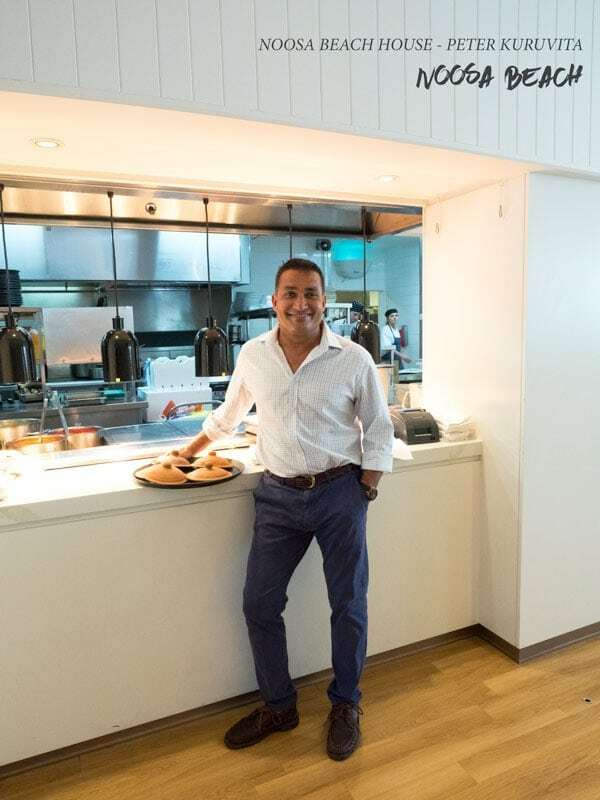 It’s a stunning location and we love a good curry so we had no hesitation in accepting this weekends invitation to join other local foodies and restaurateur, celebrity chef and all round nice bloke, Peter Kuruvita for his ‘Five Pot Curry Lunch’. 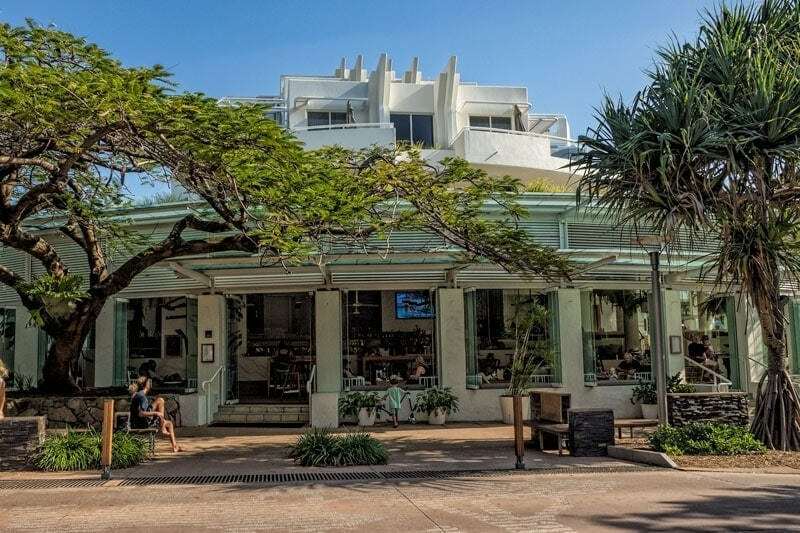 If you’re a frequent visitor to Noosa you’ve probably noticed that the iconic hotel in the middle of Hastings Street no longer wears the Sheraton badge. In April this year it was taken over by Sofitel but fortunately the Noosa Beach House and Peter Kuruvita stayed on. For this visit we headed to the side entrance and were seated in the mezzanine dining area which was comfortably air conditioned for the 32 degree spring day. The modern ambiance and crisp white table cloths gave a touch of celebration to our gathering without being too formal to be comfortable if you’d ducked in after a morning on the beach. An alterative if you’re after something more casual is the open fronted restaurant and bar at street level. The five pot curry lunch we were here to enjoy is only available on the weekend and the currys included are switched up week to week. 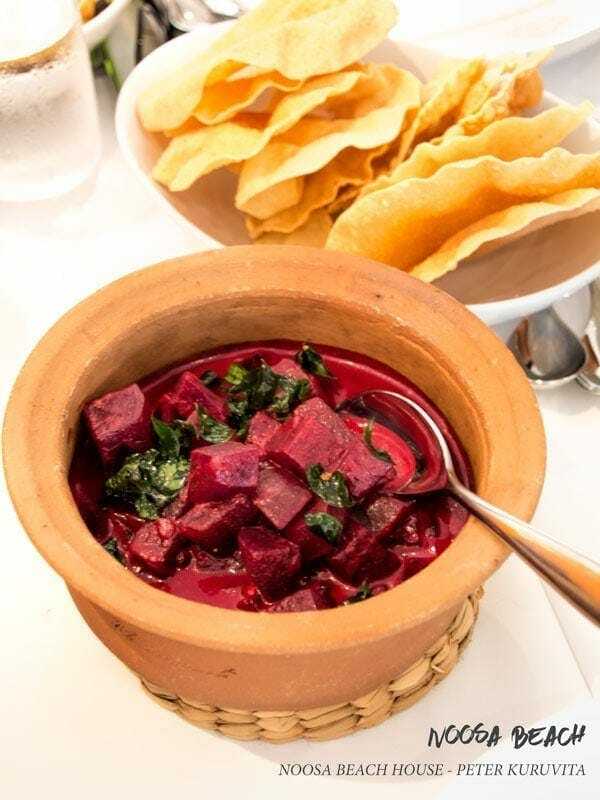 Our selection was a Sri Lankan beef curry with chilli and spices; a pork curry with goroka and spices; a fish curry with cardamon, fenugreek and finished with coconut; a cucumber curry and a the most unusual addition of a beetroot curry. Now I’m generally not a fan of beetroot but the layers of flavour in this were excellent and even if you don’t normally eat the vegetable I’d encourage anyone to try it. It’s cooked with a little vinegar to maintain the crisp fresh flavour with a balance of spices and finished with coconut cream making it smooth and decadent on the palette. 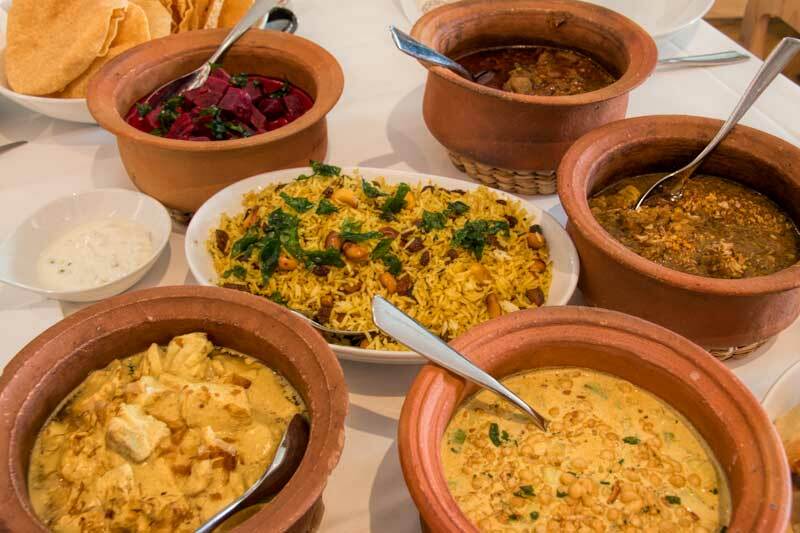 The meal is served family style with pots of curry placed in the centre of the table for everyone to serve themselves and generous baskets and bowls of roti, pappadams, rice and pickles. While each dish was tasty and complex none were overly ‘hot’ spiced making it suitable for the tastes of a mixed crowd. With multiple vegetable options vegans were well taken care of and around our table of meat appreciating foodies the vegetarian dishes were amongst the favourites of the day. We were given some direction on the right way to plate curry with the rice taking centre place then the currys, breads and pickles being placed around the outside like a painters palatte with a small space left at the front for mixing. It’s also normal to enjoy a curry in Sri Lanka with your hands not the spoon, while I might occassionally use my naan as a scoop we were fortunately given some grace on that one and cutlery was provided! The breadth of curry styles available has however nudged the country up higher in my ‘places I want to go travel (and eat) list’ as if that list needed to get any bigger! One of the touches we really appreciated was Peters own commitment to sustainability and support of charitable works. An example are the rustic terracotta pots the curry is served in, they come from Sri Lanka made by the women of Mankada. It’s an organisation supported by the MJF Foundation to promote Sri Lankan traditional arts and crafts while simultaneously helping the community, and specifically women, achieve self sufficiency. All round an excellent way to spend a Saturday afternoon, good company, conversation and laughter accompanied by great food. While we were treated to this meal as always my highest recommendation can only be that we’ll be back very soon – I might have been back already if I’d had room left for that French Rose and Coffin Bay oyster deal I noticed out front on the way out. These images and all others in this article can be saved to Pinterest for easy reference later. Oh man!!! Item prepared in those pots have so much flavour!!! My personal favourite is Lamb. I’ve had it prepared in those pots in Casablanca and Cappadocia. Delicious!!! I’m really intrigued by the idea of a cucumber curry – can you describe it more? I’m imagining it like a cold, creamy cucumber salad with a curried sauce but who knows!?! I also love that there was plenty of roti and side dishes provided – the bread is often my favourite treat!! Hi Vanessa, it’s a curry not a side dish so it’s cooked and the dish is served hot with a creamy curry consistency. I’m told Sri Lankan curry often uses vegetables and fruit that we wouldn’t normally think about cooking in the West. Peter also mentioned a green mango one that I’m very tempted to experiment with myself. My mouth is watering, all of those curries look delicious! Did you have a favorite? This sounds delicious. I always love when I can try something I normally don’t like (such as beetroots), but in a way that I do like. If I’m in Noosa I’ll definitely have to give this place a try. Although I’m an Aussie, I have never been to Noosa! We have been living overseas for a few years now, but when we return we’ll have to add this to our travel list. We are both also curry fans! Noosa is so lovely. We miss sunny Queensland! I’m just starting to develop an appreciation for curries (they were always too spicy for me when I was younger), and this selection looks delicious! 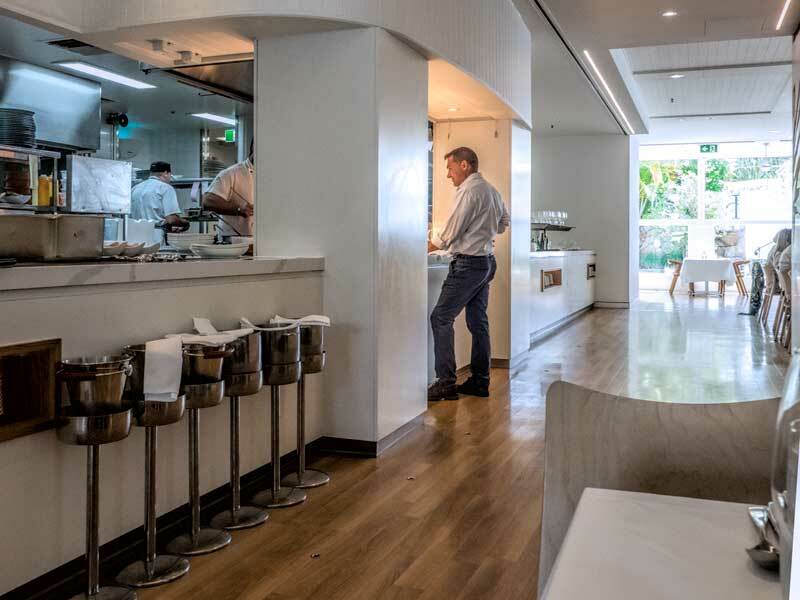 Sounds and looks delicious – and in such a lovely setting too! I’ll definitely be looking up Noosa Beach House when I’m up north again! Sounds delicious. Love that it was lunch with a bit of heart too given the charity connection. Everything looks and sounds amazing! Love how they gave you tips on how to eat it the right way! What a great curry selection! Its always fascinating to see the varieties of curries that are produced by various cultures.